I recently wrote an article discussing the 2017 March for Science. One of the protesters, Judy Twigg, a public health professor at Virginia Commonwealth University, was wearing a T-shirt that said “Science is not a liberal conspiracy”. is there an actual conspiracy, or does it merely look like that to some people? if true science is not a conspiracy, has it been replaced by scientism, the worship of science? if there is a conspiracy, who is responsible, and what is their agenda? and what does ‘liberal’ mean in this context anyway? Here I’m not going to try to answer all those questions, nor am I going to claim that science is a conspiracy, liberal or otherwise. Instead I’m going to look at the reasons why some people might think that. I mentioned John Maddox in a recent article¹. He was the editor of the prestigious science journal Nature at the time of a dispute with the Natural History Museum (London) in 1981. The Museum had dared to offer an alternative to Darwinian evolutionary theory called Cladistics. One could argue, therefore, that they were doing what good science should do — be aware of limitations in theories, search for new possibilities, be open-minded. However, an editorial appeared in Nature entitled ‘Darwin’s death in South Kensington’, which included the phrase “the rot at the museum”. If Maddox did not write the editorial himself, he must at least have approved it, and therefore take responsibility². He is also well known for an editorial in September 1981, following the publication of Rupert Sheldrake’s book A New Science of Life, describing it as “the best candidate for burning there has been for many years”. He thought that because Sheldrake’s theories of morphic resonance and morphogenetic fields seriously challenged the materialist paradigm dominating modern science. Many people, often non-scientists, have a rather idealistic vision of science and scientists. Here, for example, are the thoughts of the comedian Ricky Gervais: “Science seeks the truth. And it does not discriminate. For better or worse it finds things out. Science is humble. It knows what it knows and it knows what it doesn’t know. It bases its conclusions and beliefs on hard evidence — evidence that is constantly updated and upgraded. It doesn’t get offended when new facts come along. It embraces the body of knowledge. It doesn’t hold onto medieval practices because they are tradition”³. Sheldrake quotes this passage, and then comments: “Gervais’s idealised view of science is hopelessly naïve in the context of the history and sociology of science. It portrays scientists as open-minded seekers of truth, not ordinary people competing for funds and prestige, constrained by peer-group pressures and hemmed in by prejudices and taboos”⁴ (my italics). The two examples above suggest that Sheldrake is closer to the truth than Gervais, and Maddox was the editor of Nature, therefore responsible for deciding what would and would not appear in the journal. Was he a fit person for this task? Maddox is less well known for his role in an episode involving Jacques Benveniste, a distinguished French scientist, a doctor of medicine who then became a specialist in allergy research, research director at INSERM, the French National Institute for Health and Medical Research. He had received the Silver Medal from CNRS, one of the most prestigious French scientific honours. 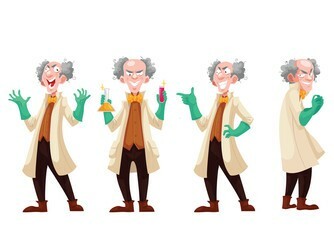 He was a proper, highly qualified scientist. He then became involved in a controversy related to the purported memory of water, with implications for homeopathy. A member of his team, Elisabeth Davenas, had brought to him the bizarre results of some experiments she had been conducting. These were hard to believe, so the experiments were carefully repeated over a period of four years in five laboratories in four countries, the original findings being replicated. We can note therefore that the experiments were conducted, as you would hope, with adherence to the scientific method, performed under double blind conditions to eliminate any experimenter bias. 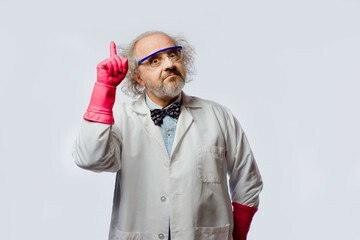 Benveniste was a proper scientist, doing true science of the kind which Ricky Gervais approves of. The findings appeared to confirm the central claim of homeopathy — the weaker the solution, the more powerful its effect. They “provided strong evidence that the method of preparing highly diluted homeopathic solutions would be likely to produce a modified water that carried biological activity (hence a memory), even though there were no molecules of the original solute present. His experiments also demonstrated that this biological activity can be transmitted to otherwise neutral water through an electromagnetic device”. I should note at this point that any suggestion that there might be some truth in the theory of homeopathy is anathema to orthodox science, a heresy, something that gets materialists hot under the collar because of the possible repercussions for the accepted laws of biochemistry. In Britain there have even been demonstrations outside chemists selling homeopathic remedies, based on the claim that they don’t work and are therefore fraudulent⁵. A paper was prepared for publication in Nature, claiming: “specific information must have been transmitted during the dilution/shaking process. Water could act as a template for the molecule, for example, by an infinite hydrogen-bonded network, or electric and magnetic fields… The precise nature of this phenomenon remains unexplained” (my italics). The paper was accepted, but Maddox took the unprecedented step of placing an editorial addendum at the bottom of the article: “There is no physical basis for such an activity. With the kind collaboration of Professor Benveniste, Nature has therefore arranged for independent (note that word) investigators to observe repetitions of the experiments. A report of this investigation will appear shortly”⁶. Let’s have a look at how ‘independent’ these investigators were. Maddox went himself — we can tell how open-minded he was from his reactions to the Natural History Museum’s ‘heresy’ and Sheldrake’s book. He arrived with Walter Stewart, a well-known quackbuster, and James Randi, a professional magician dedicated to exposing fraud. The latter was a fanatical, sceptic materialist, as can be seen from the subtitle of his book Flim-Flam: Psychics, ESP, Unicorns and other Delusions⁷, and his membership of the notoriously sceptical organisation CSICOP (Committee for the Scientific Investigation of Claims of the Paranormal). Were a magician and a quackbuster, with no relevant scientific training, the best possible team to assess the subtleties of such experiments, which had already been replicated by other professional scientists? Does this not suggest that Maddox’s true intention was not to assess impartially the validity of the work, rather to discredit it at all costs? Elisabeth Davenas performed four experiments in front of them, one blinded, all of which, according to Benveniste, were successful. However the team disputed the findings and changed the experimental protocol, Stewart insisting on carrying out some of the experiments himself and changing some of their design even though he was apparently untrained in these particular experiments. “Under their new protocol, and amid a charged atmosphere implying that the INSERM team were hiding something, three more tests were done and shown not to work. At this point, Maddox and his team had their results and promptly left”⁸. Nature then published a report entitled ‘High dilution experiments a delusion’. “It claimed that Benveniste’s lab had not observed good scientific protocol. It discounted supporting data from other labs. Maddox expressed surprise that the studies didn’t work all the time, when this is standard in biological studies — one reason Benveniste had conducted more than 300 trials before publishing”. “They expressed dismay that two of Benveniste’s co-authors were being funded by a manufacturer of homeopathic medicines”, when industry funding is standard in scientific research. Rather than insinuate fraud, they should have produced actual evidence of it. Benveniste’s response was feisty, and I would say appropriate: “Salem witchhunts or McCarthy-like prosecutions will kill science. Science flourishes only in freedom”⁹. Unfortunately, the scientific world believed Nature rather than Benveniste — it is, after all, a prestigious journal — and this episode had a devastating effect upon his career. “INSERM refused to listen to Benveniste’s objections about the quality of the Nature investigation and prevented him from continuing… Letters poured in to Nature and other publications, calling his work ‘dubious science’, a ‘cruel hoax’ and ‘pseudo-science’ ”. We might wonder whether these terms could be applied more appropriately to Nature’s investigation. The result was that Benveniste’s funding was curtailed, his laboratory closed down and he himself lost his post — all a direct consequence of his scientific study of (ideas related to) homeopathy. molecules communicate with each other in oscillating frequencies (not through chemical exchange). Cells rely on electromagnetic signalling at low frequency. action at a distance, “a ‘cascade’ of electromagnetic impulses travelling at the speed of light”. Two molecules are then tuned into each other, even at long distance, and resonate to the same frequency. A medium enabling the molecules to speak to each other nonlocally and virtually instantaneously. water behaves mysteriously — when closely packed together, atoms and molecules exhibit a collective behaviour, (thus something like a superorganism). “water is like a tape recorder, imprinting and carrying information whether the original molecule is still there or not”. “Water molecules organize themselves to form a pattern on which can be imprinted wave information”¹⁰. Professor Madelene Ennis of Queen’s University in Belfast, originally sceptical, tried the experiments along with a large pan-European research team, with a view to disproving Benveniste’s results once and for all. She became a convert, however, after obtaining similar results. McTaggart speaks for Benveniste: “If negative, her results would have been published in Nature, thereby forever consigning his work to the trash heap. Because (the team’s) results agreed with his, they were published in a relatively obscure journal, a few years after the event, a guarantee that no one would really notice”. Of many scientific double-blind, placebo-controlled studies of homeopathy which lent support to Benveniste’s findings, “the most unassailable were carried out in Glasgow by Dr David Reilly (who) showed that homeopathy works for asthma, with all the usual checks and balances of a pristine scientific study”. This persuaded the journal The Lancet to publish the results, but an editorial simply refused to accept them, saying: “the dilution principle of homeopathy is absurd; so the reason for any therapeutic effect presumably lies elsewhere”. On the basis of this example, whose view of science is closer to the truth, Gervais’s or Sheldrake’s? Once upon a time it was science which challenged the dogma of the Church. Now it seems that certain scientific beliefs have acquired the status of unchallengeable dogma, despite what Gervais claims. How does a bigot, someone so against proper scientific enquiry, become editor of a prestigious scientific journal? Was Maddox a fit and proper person? Who appointed him? Was he censured or fired for his appalling behaviour in the Benveniste incident? Why was he knighted? “This episode encapsulates, without exaggeration, the typical reaction of the ‘secret police of establishment science’ when faced with inexplicable observations that lie outside the parameters of the mechanistic/molecular paradigm. The armoury of suppression includes the illegitimate use of legitimate scientific tools such as statistics, fake attempts at duplicating their results by ‘experts’ (sometimes anonymous), persecution, false rumours, slander and the abuse of financial and institutional power. It is a truism that establishment scientists operate under an illusion of scientific objectivity with blind faith in a reductionist approach using mechanistic laws… The greater the pursuit of scientific power (with attendant money, fame and position) the more is truth compromised”. “The demise of Benveniste’s work signals a real blow to the scientific advancement of complementary medicine. 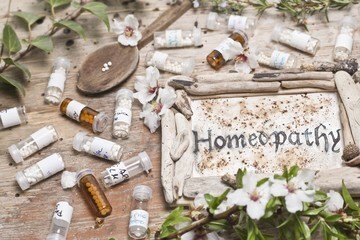 One cannot but wonder whether the move to stop further research into homeopathy was driven by the fear that if success in this field could be shown in the public eye to have been scientifically proven and published, the drug industry would suffer a serious downturn in profits with far-reaching conclusions”. If there is not actually a conspiracy involving real people plotting somewhere, even if that sometimes appears to be the case, then there must be a strong drive, possibly unconscious, in many scientists to behave in this appalling way. Maddox’s attitude is certainly not an isolated example. How could this be explained? If not a conspiracy, it would seem that the meme of scientific materialism, a highly contagious cultural virus, has infected the minds of many so-called scientists. Or is there perhaps an actual conspiracy? With people like Maddox in charge of Nature, it is easy to understand why some people might think that. There is also an Appendix below, following on from footnote 5. 1. for full details of the brief summary which follows, click here. 5. These people are ignorant of the facts, for homeopathic theory has been confirmed many times, using proper science. (See the Appendix below for further information, if interested). 10. The third and fourth of the bullet-points are referred to by McTaggart in relation to the work of two Italian physicists, Giuliano Preparata and Emilio Del Giudice, thus not Benveniste himself, but relevant to his thinking. “in 1992, the Federation of American Societies for Experimental Biology held a symposium… examining the interactions of electromagnetic fields with biological systems”¹. “Numerous other scientists have replicated high-dilution experiments”². “several others have endorsed and successfully repeated experiments using digitized information for molecular communication”³. “Benveniste’s latest studies were replicated eighteen times in an independent lab in Lyon, France, and in three other independent centres”.